Do I Need Travel Insurance for Trips within Canada? Canada is a beautiful country. It makes sense that Canadians in one province would want to tour around another. There’s the pacific ocean in BC, Banff and Jasper in Alberta, the Hudson Bay touches several provinces, Quebec has a culture and cuisine of its own, and the maritimes are gorgeous and wouldn’t be complete without a crab or lobster dinner. Up north in the territories, the northern lights, fishing, and heritage are all strong draws for tourists from the southern provinces. But what happens if you get sick or hurt outside of your province? 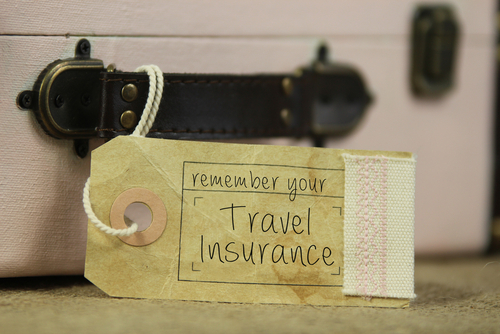 Do you need travel insurance? Probably you’ll want to buy some travel health coverage if you’re going to be out of your province for a while. Everyone knows that you need travel health coverage if you journey internationally, but it’s also a good idea when traveling within Canada’s border. Many of the provinces (all of them but Quebec) have some sort of agreement, but you’ll find your provincial coverage is greatly reduced and has many exceptions. Seeing a Doctor is going to be covered in most provinces and territories (except Quebec). A visitor BC coverage can visit a doctor in Alberta (or Saskatchewan or Nova Scotia, etc. ), and Albertans can visit the doctor in BC (or Ontario or Manitoba, etc.). This holds true for almost all of Canada, except when travelling to or from Quebec. However, this coverage doesn’t include any other medical professional. Chiropractors, dentists, and other health care services will need to be paid out of pocket. While many provinces have an agreement so that the doctor you visit in P.E.I can bill your home province of British Columbia directly, other provinces (such as those in the maritimes) require residents to pay up front and then bill for reimbursement. Prescriptions. Some provinces, such as Saskatchewan cover prescription drugs for their traveling residents as long as they remain in Canada. However, more often than not you if choose to purchase prescriptions out of province, you’ll have to pay for it yourself. Quebec is the only province in Canada that doesn’t have some sort of agreement with the other areas of Canada. If you are travelling in Quebec or if you are a Quebec resident travelling elsewhere in Canada, we strongly advise you purchase travel health insurance. When you leave your province, important health care features that Canadians so often take for granted — like having access to an ambulance and other forms of transport simply aren’t covered. Prescriptions should be filled in your home province, and you need to carry enough to last you until you return. Seeing a doctor should be covered as long as you remain in Canada (and aren’t visiting Quebec), but few other services are. In general, the provincial coverage that follows you out of your province isn’t going to be quite enough if something goes wrong. We strongly recommend that any Canadians travelling outside of their province purchase travel insurance. If you have any questions about your Health Risk coverage outside of your province or if you’re looking to purchase travel health insurance, Health Risk can provide you with the answers and services you need. Call us today at 1-877-236-9430.